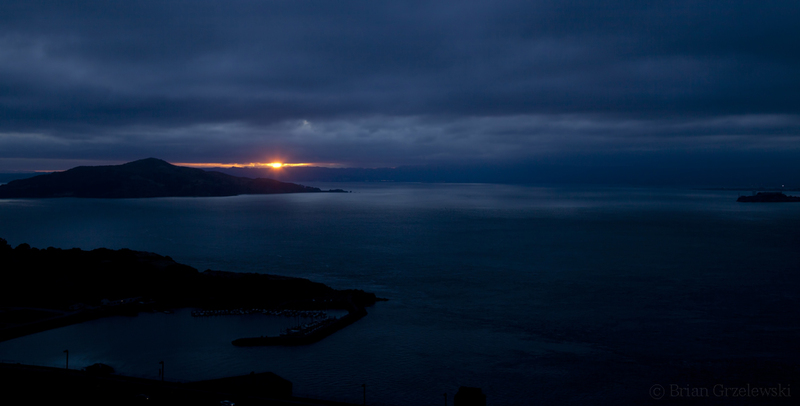 I went out to catch the sunrise near the Golden Gate Bridge. There wasn’t a shot with the bridge in it. But, it was a cool moody morning. The sun peaked through for a moment just breaking into the darkness. Brian – LOVE it! You just never know if conditions will cooperate and did they ever!